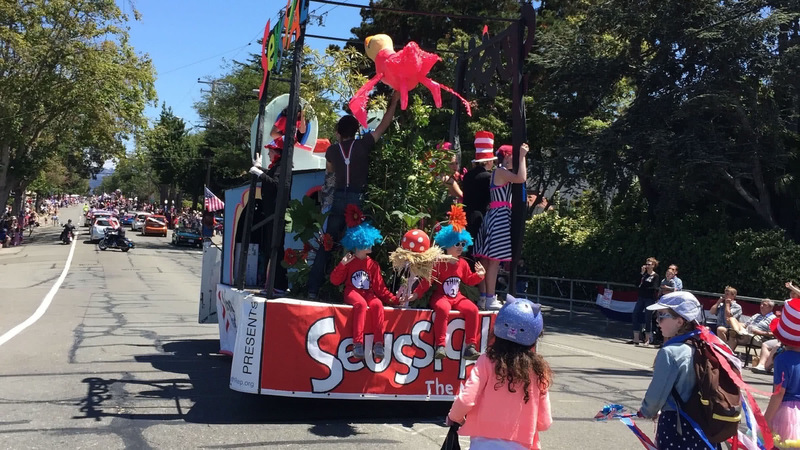 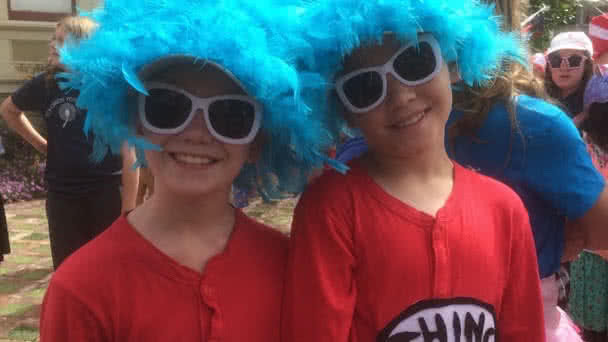 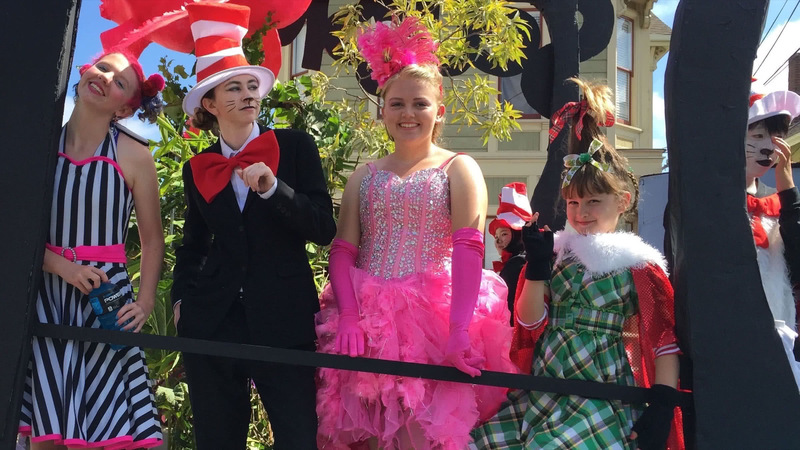 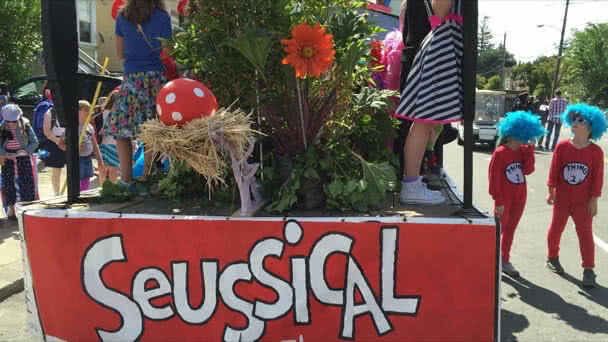 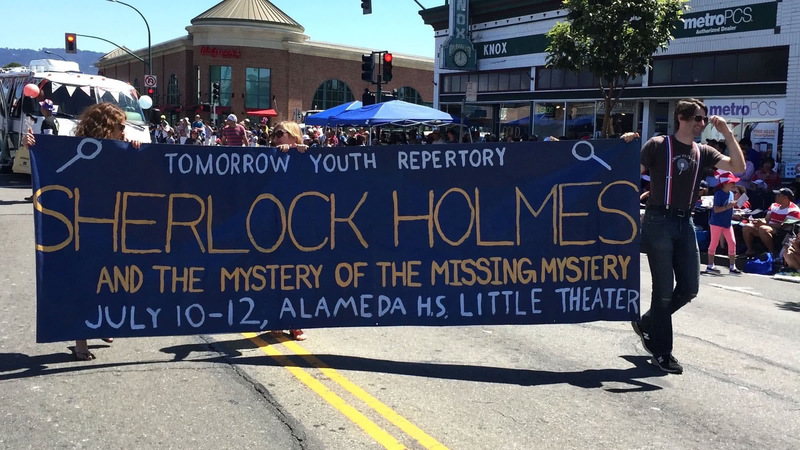 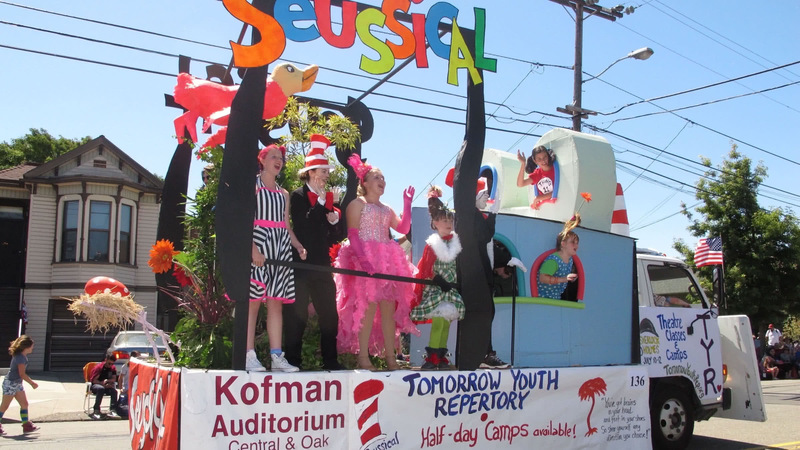 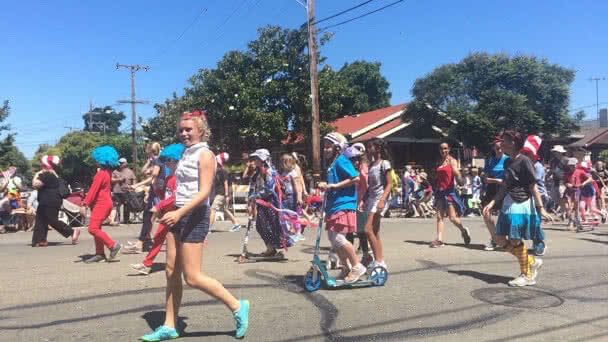 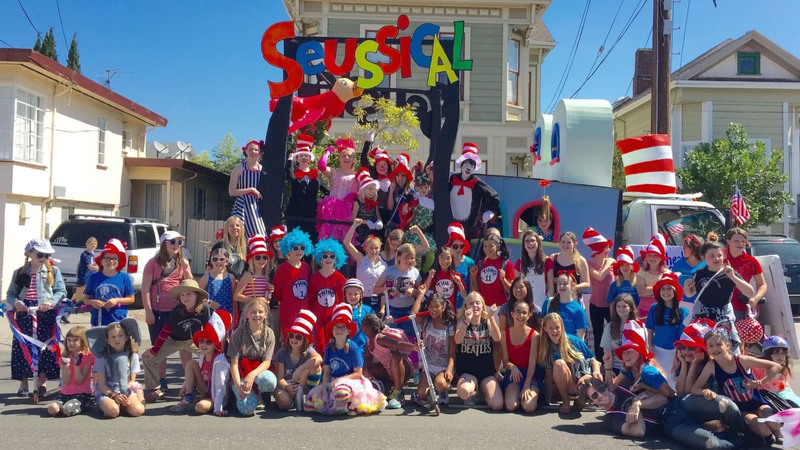 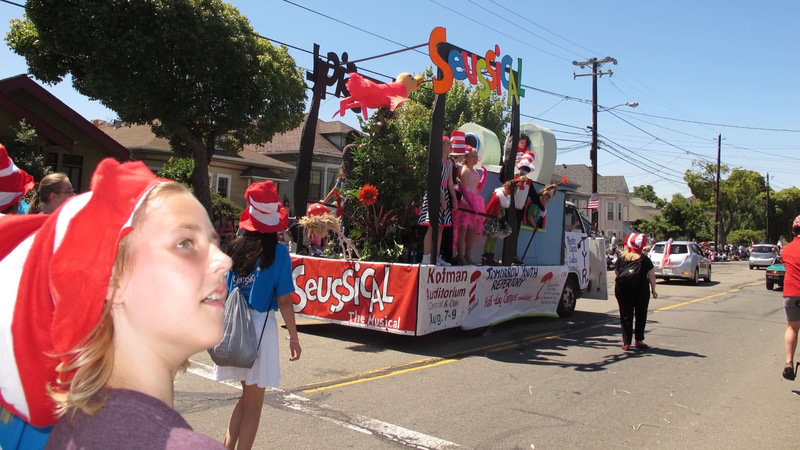 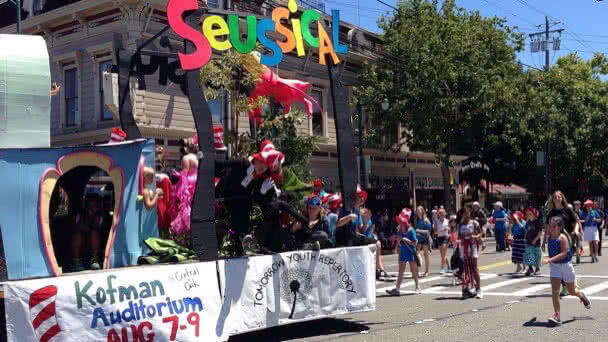 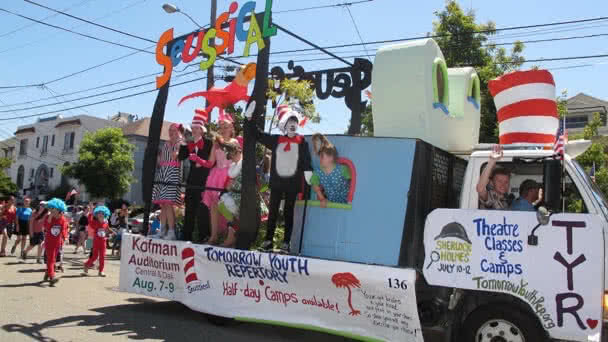 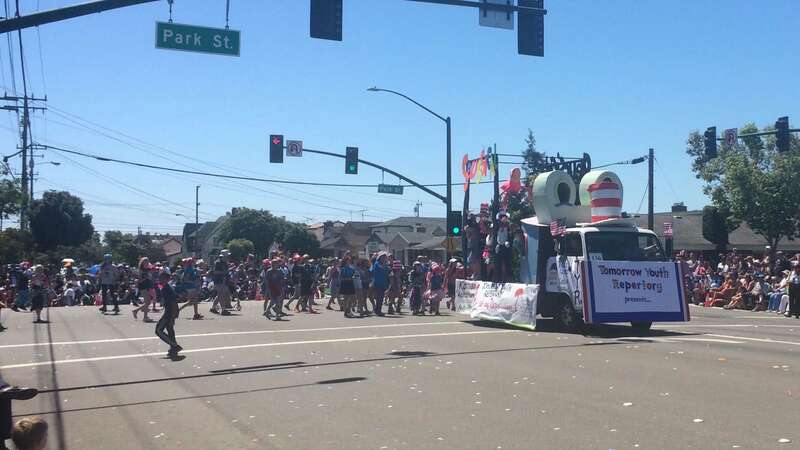 Tomorrow Youth Repertory entered Alameda's Fourth of July parade for the third year, with a big float publicizing our upcoming SEUSSICAL: THE MUSICAL show — along with a banner promoting Sherlock Holmes and the Mystery of the Missing Mystery. 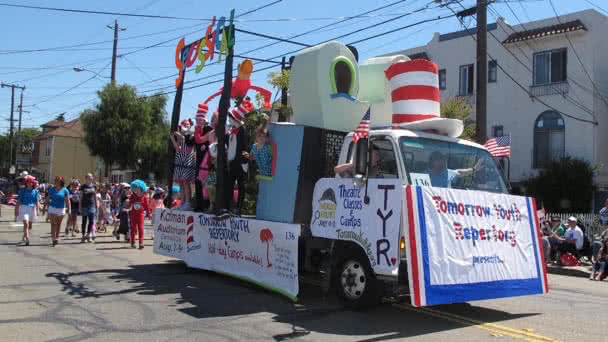 One of about 150 parade entries, TYR's float won the third-place float prize! 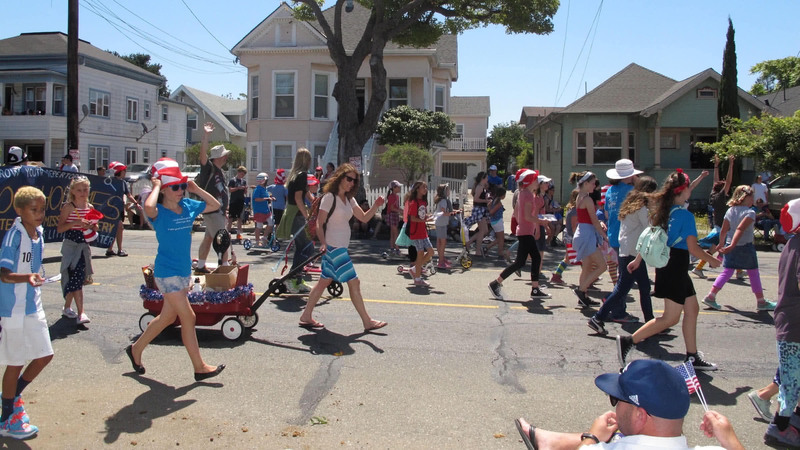 Many TYR kids along with parent volunteers came out to sing and walk and wave to the thousands of Alamedans and visitors lining the streets of the 3.3-mile route.